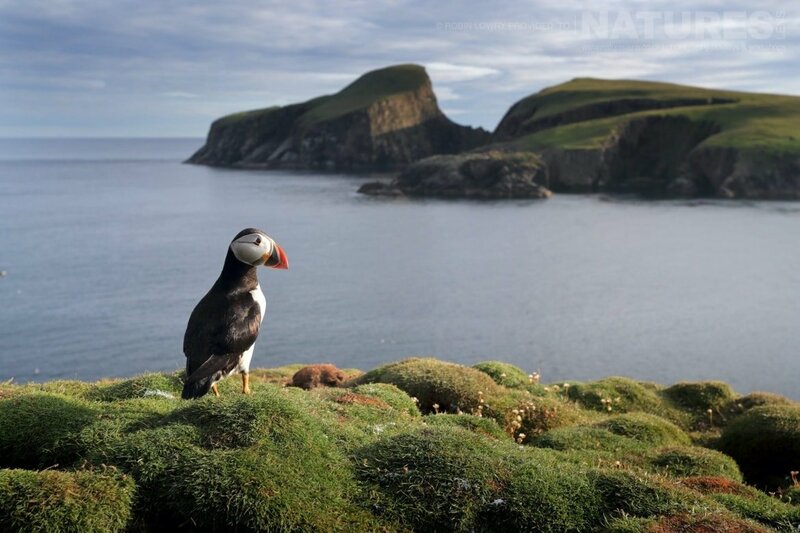 Fair Isle, measuring at just 3km wide & barely 5km long is Britain’s most remote inhabited island. 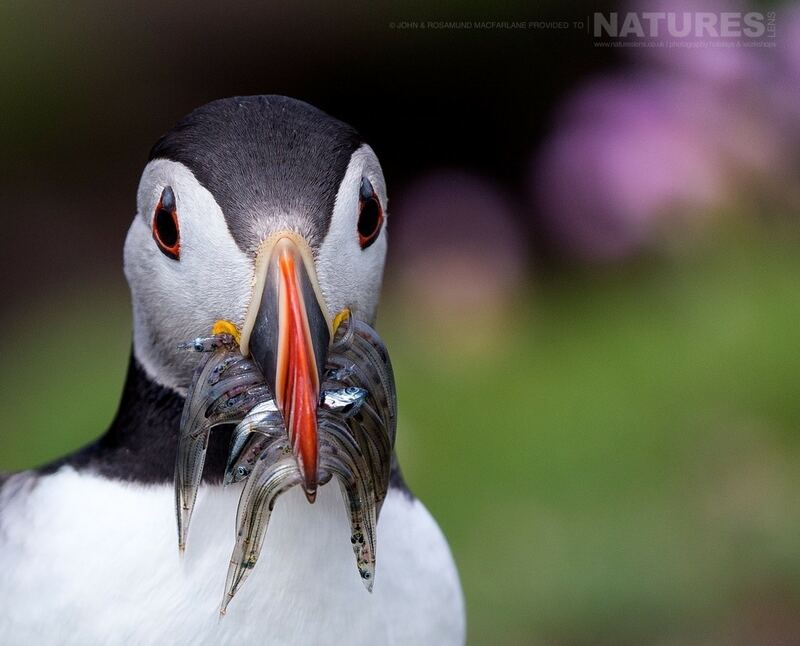 It can be found marooned in the North Sea between Shetland & Orkney. Due to its location it is not the easiest place to get to. 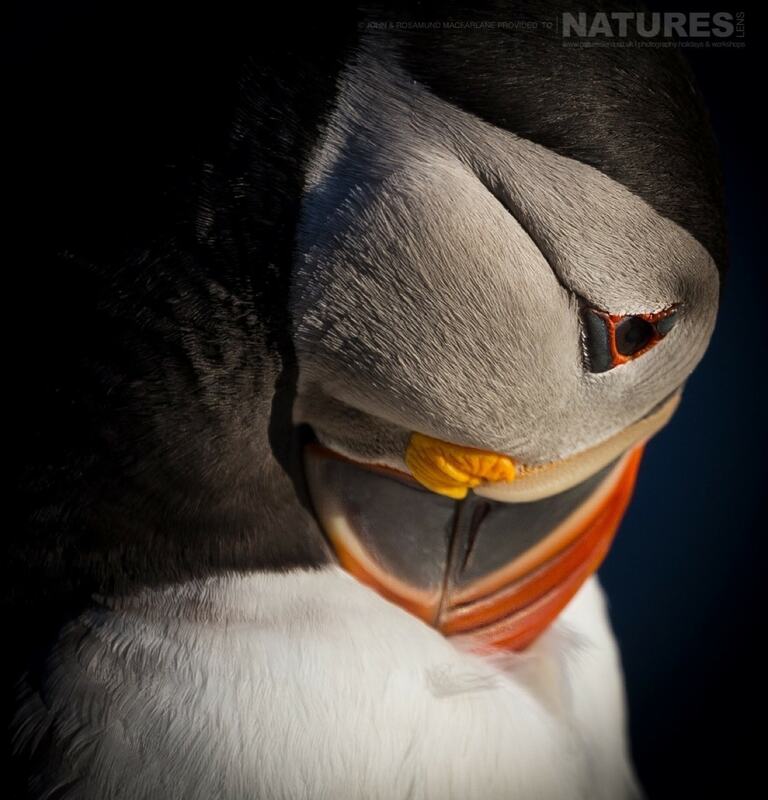 But once you set foot on the island, it truly is a puffin paradise & with almost 24 hours of daylight during June it is a photographers dream. 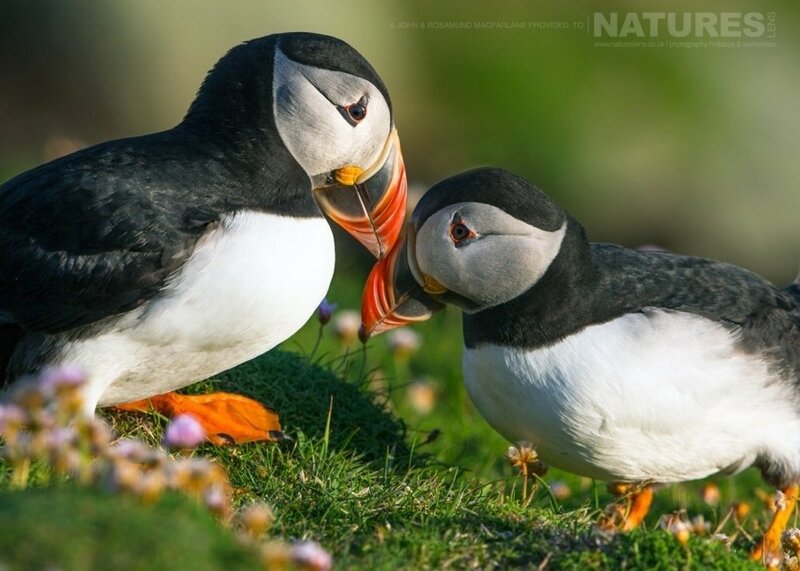 The puffin population on Fair Isle may not be the biggest in the UK, but it is difficult to argue that it isn’t the most beautiful. 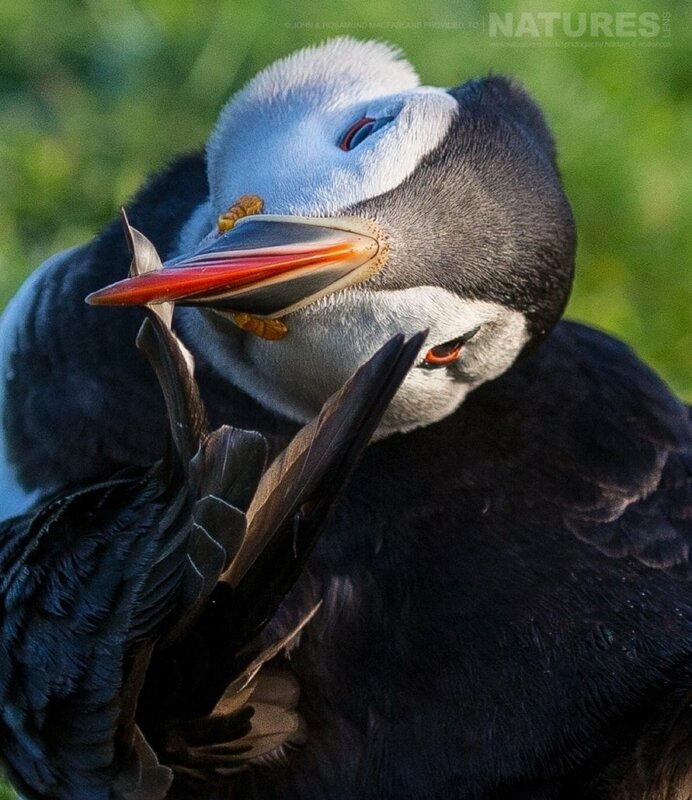 Read on for my thoughts on the Puffins of Fair Isle & why Shetland, & in particular, Fair Isle, is one of the best locations to capture images of the comical clowns of the sea. 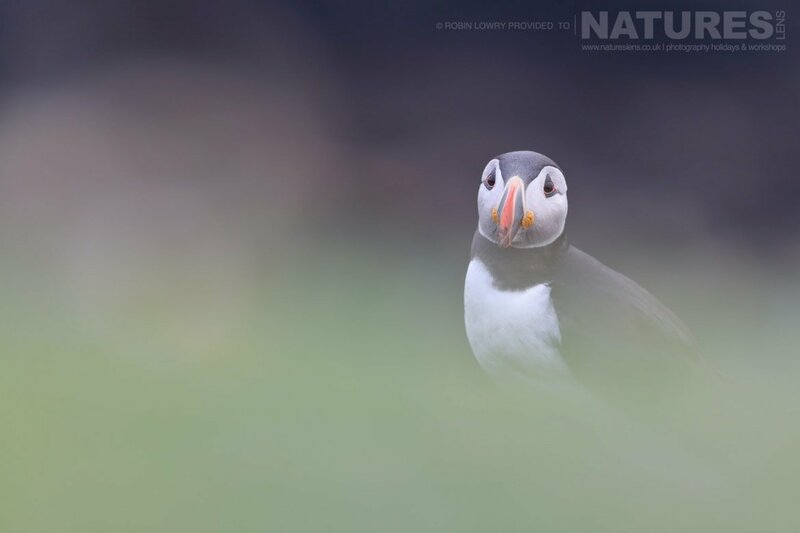 Stuart has kindly sent in a selection of images captured on Shetland when they undertook the Puffins of Fair Isle Photography Holiday led by Kevin Morgans. 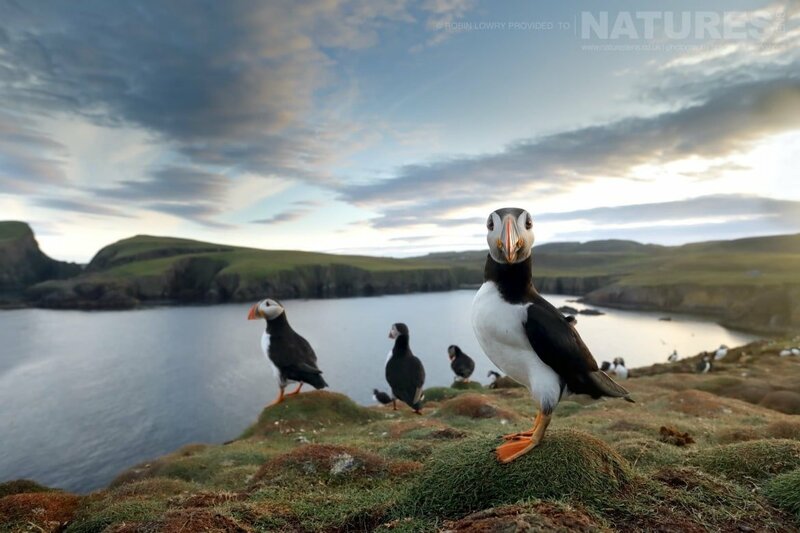 Fair Isle is the most remote inhabited island in the United Kingdom. 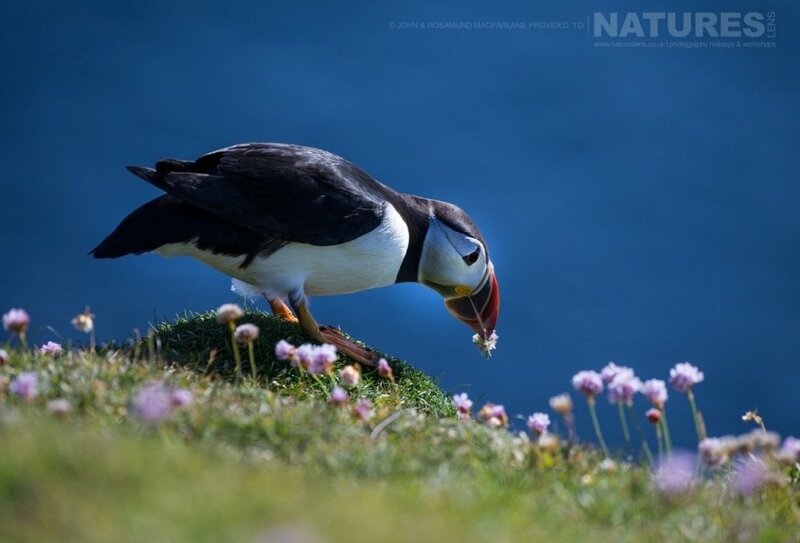 It is administratively part of the parish of Dunrossness, Shetland, & is roughly equidistant from Sumburgh Head some 24 miles to the northeast on the Mainland of Shetland & North Ronaldsay, Orkney, some 27 miles to the southwest. Fair Isle is 3 miles long & 1.5 miles wide. 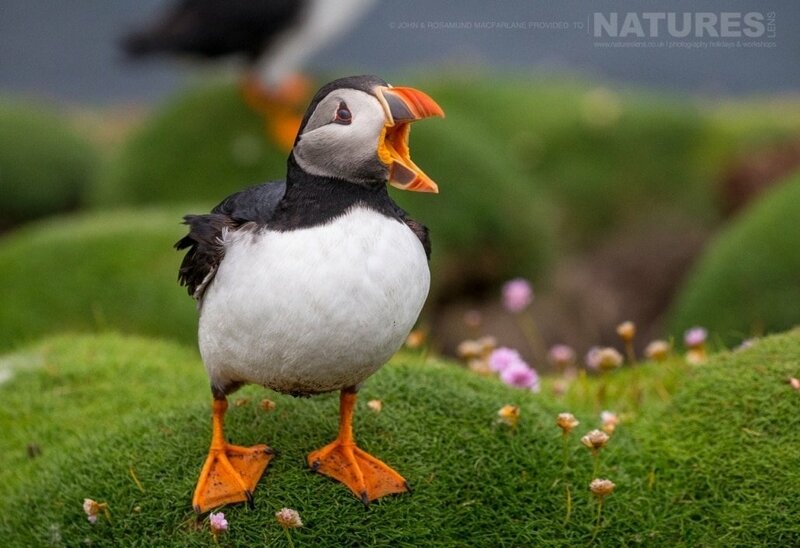 It has an area of 3 sq miles, making it the tenth largest of the Shetland Islands. 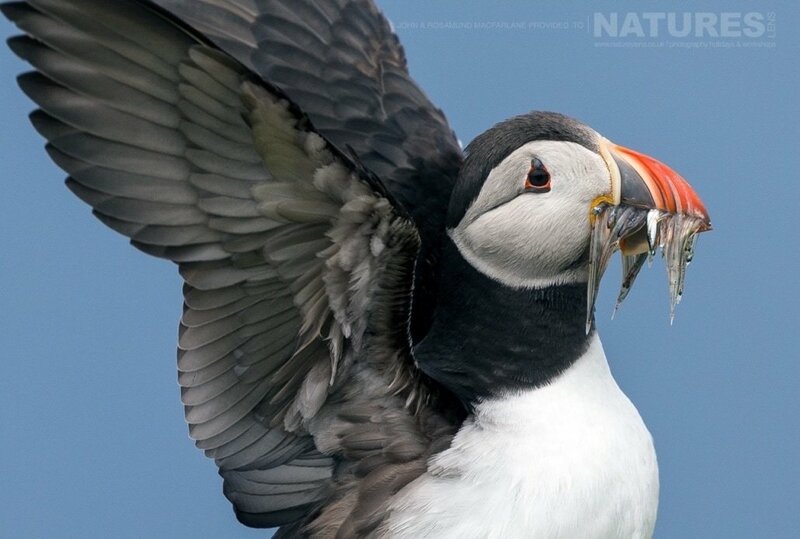 Fair Isle has a permanent bird observatory, founded by George Waterston in 1948. 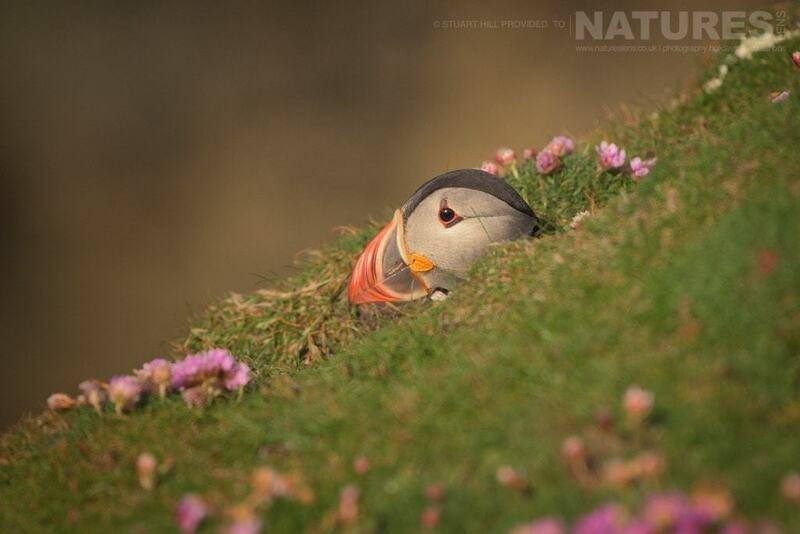 Because of its importance as a bird migration watchpoint, it provides virtually all of the accommodation on the island. 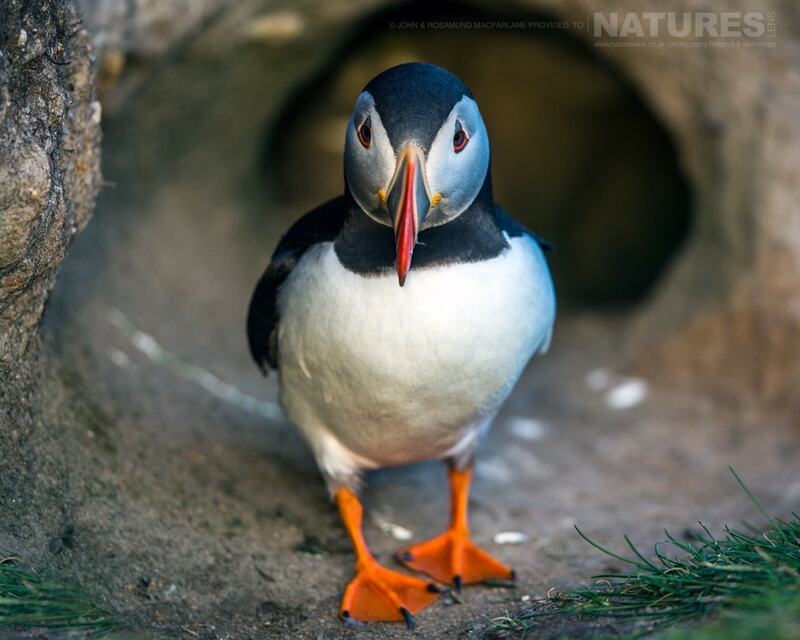 We have just launched a new trip to photograph the most charismatic sea bird of them all, the puffin, our new Puffins of Fair Isle Photography Holiday takes place on Fair Isle an offshore island so remote it feels like you are entering a community far removed from the rest of the world, Fair Isle is owned by the National Trust for Scotland, a jewel protected by soaring craggy cliffs, one moment bathed in sunshine the next topped by a crown of brooding fog. Dramatic & untouched, our Puffins of Fair Isle Photography Holiday sets the scene for images so atmospheric; they are nothing short of mesmerising. 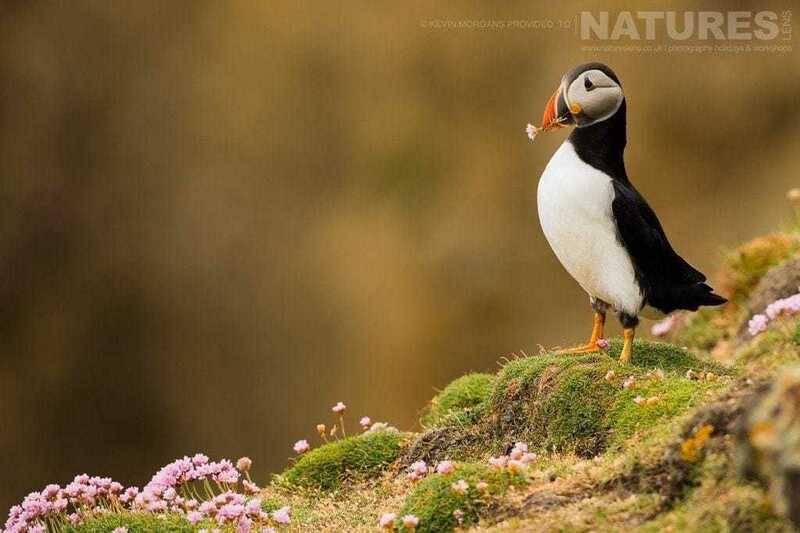 So, why not head to Shetland, guided by award winning photographer Kevin Morgans, the NaturesLens Puffins of Fair Isle Photography Holiday offers an opportunity to add the distinctive brightly coloured bill & puffy cheeks of the Puffin to your photography portfolio. Like many of our other trips, all participants who travel alone will have their own room, with no sharing. The accommodation is on a full board basis in the Fair Isle Bird Observatory & Guesthouse. Dates are June 16, 2016 – June 21, 2016. 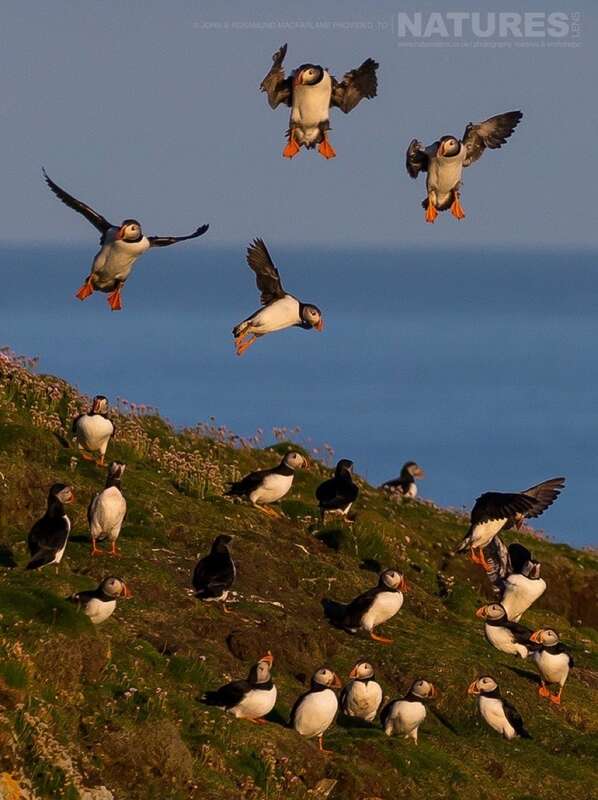 Please visit the Puffins of Fair Isle Photography Holiday page for full details & contact us by email if you have any questions. One of our personal highlights during 2014 was photographing Black Grouse in Scotland. We have photographed lekking black grouse before at a number of sites, but 2014 was very special! The setting for these sessions of black grouse photography was perfect & the conditions all came together. We are now able to offer this to others, but why stop at just Black Grouse Lek photography? Our trip consists of a packed pair of days which will allow you to also photograph red grouse & the ptarmigan, (a white grouse variant), plus we have great accommodation lined up & some of the best backdrops you could hope for. We have availability on the four days encompassing the Easter 2015 weekend, so that is either the Friday & Saturday or, the Sunday & Monday. Whichever days you choose, you should leave the pair of days with some fantastic shots, we certainly have done so in the past! If the climb to the ptarmigan is not suitable, subject to the agreement of all guests, we can substitute in mountain hare, who at this time of year look brilliant as they are changing coat from winter coat to summer, often resulting in multi-coloured hares, some with brown body & white heads, others the inverse with white body but a brown head. 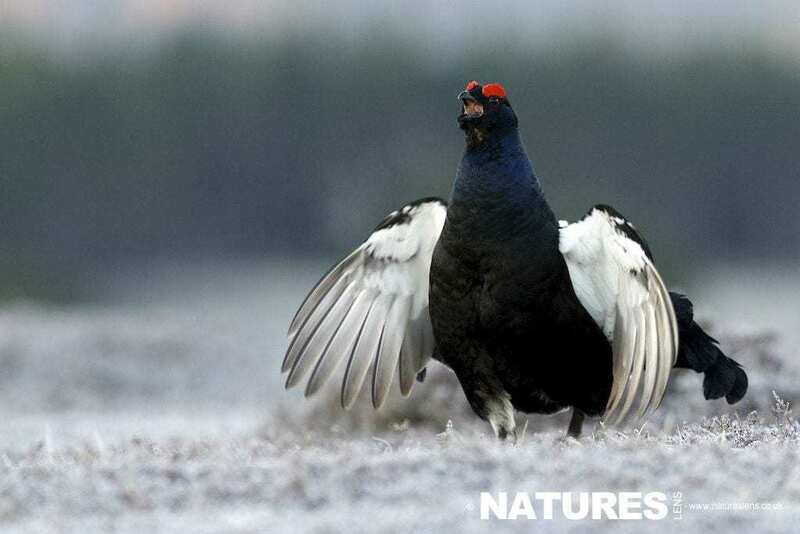 If you would like to book the NaturesLens Black Grouse Lek Photography Holiday, you can view full details here & send through an enquiry. 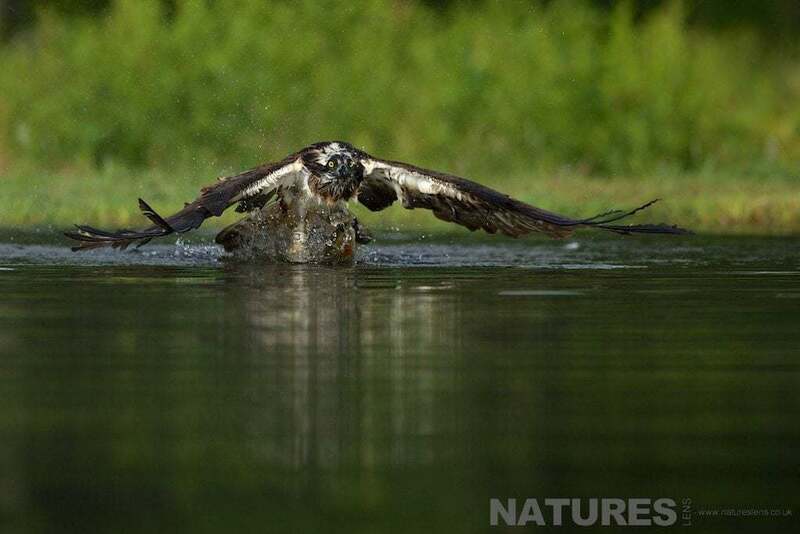 We are happy to announce an osprey workshop for July, 2015; NaturesLens have secured accommodation & hide spaces for a stunning Osprey Photography Holiday during July 2015; these osprey photography sessions are one of the most exciting sessions of photography a wildlife photographer can encounter. 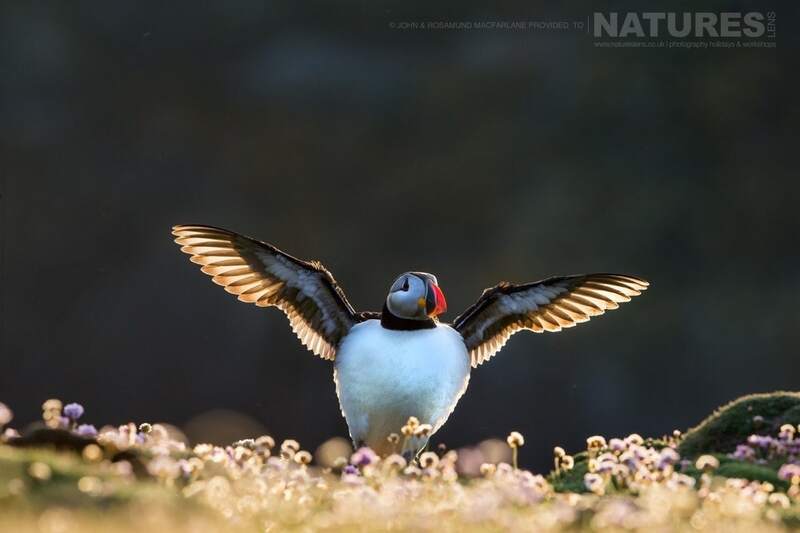 The sessions typically start at 4.30am, the anticipation builds, the birds come in to fish, a splash as the bird dives to the loch an to grab a trout, then the lift-off … an exhilarating experience to photograph. The bulk of the days are free for participants to catch up on sleep, however, one of the days does include an early evening session of Osprey Photography in the same hides. These evening sessions provide opportunities for backlit shots. Two morning hide sessions for photography of the ospreys as they fish to feed their new offspring. One evening hide session for photography of the diving ospreys. Accommodation at the High Range Lodge Hotel from July 9th – July 11th. 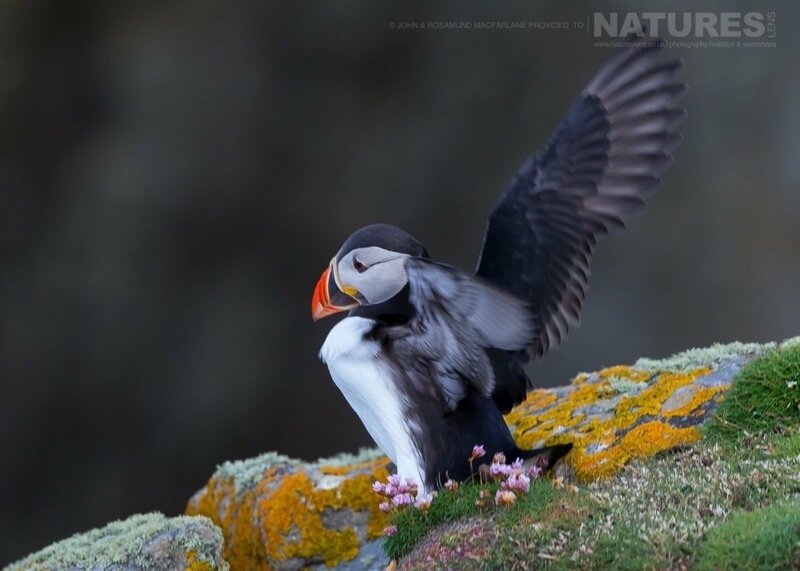 In addition to the Osprey Photography Holiday in Aviemore, NaturesLens will, if demand is sufficient, run a 3 day trip immediately afterwards to Mull for several days of Sea Eagle Photography. 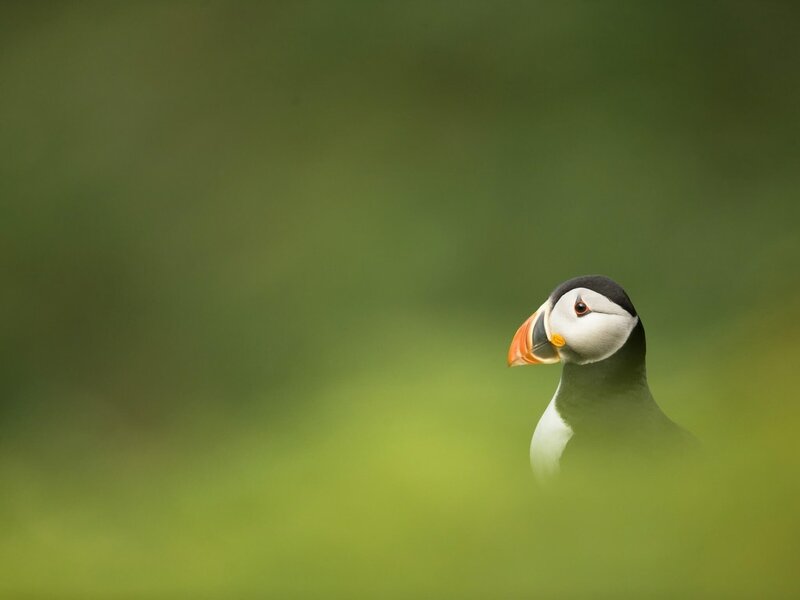 This extension will include transport to Mull, three nights bed & breakfast accommodation, two public Sea Eagle Photography Cruises & two exclusive Sea Eagle Photography Cruises. Whatever your query regarding our photography holiday, July Osprey, please fill out your details below & we will get back to you.